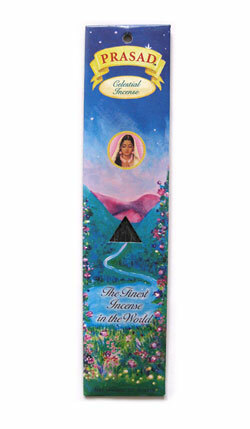 Celestial Keora Blossom (Spanish Blossom) incense promotes health, happiness, hope and wisdom. This fragrance offers Mother Earth's finest aromatic herbs, fragrant flowers, botanical gums and resins, rare spices, exotic woods and superior essential oils. Available in a 10 gram pack.